Heated Neck Pillow Shoulder Wrap, Heat Pack for Neck and Shoulders. 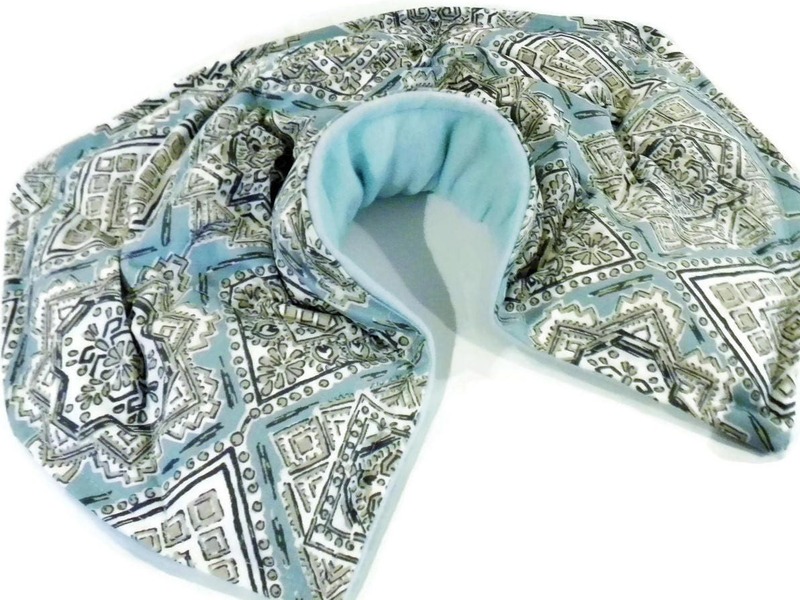 This Microwave Heating Pad is a Hot or Cold Wrap. 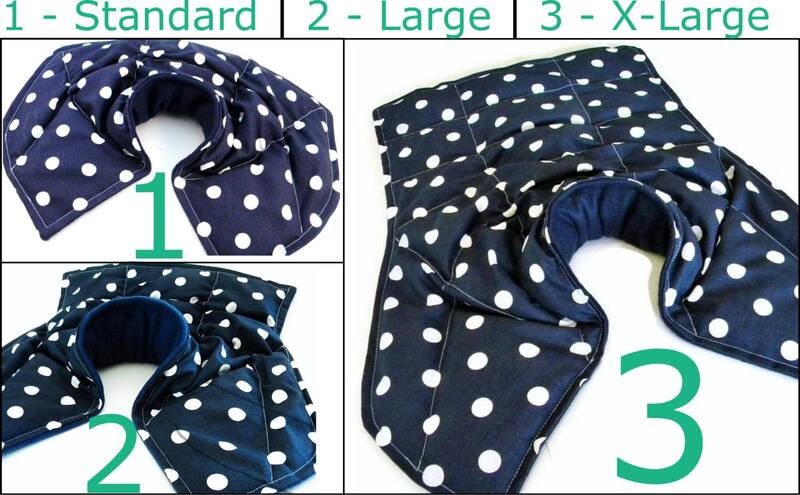 "Excellent Neck Shoulder heat pack! 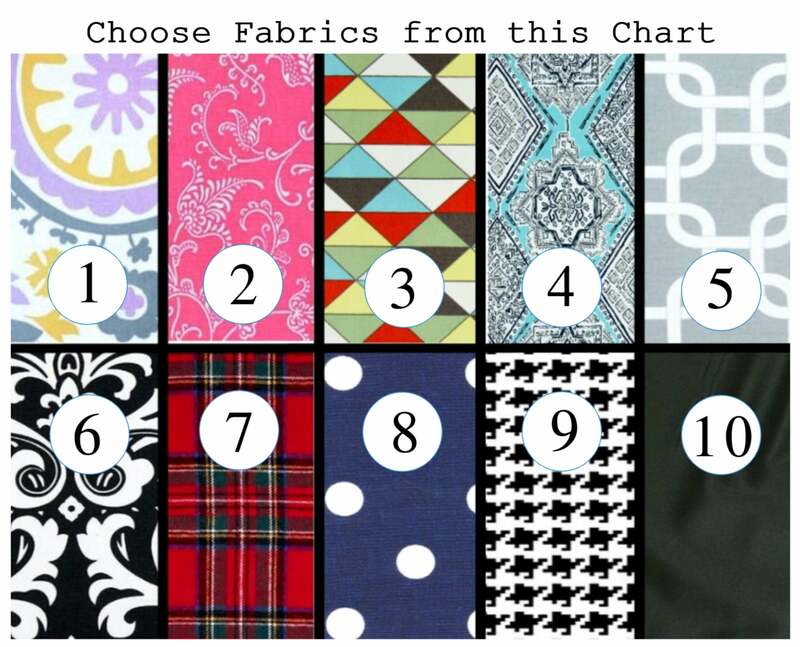 Best design pattern I've had during 20 years of using microwave heating pads." 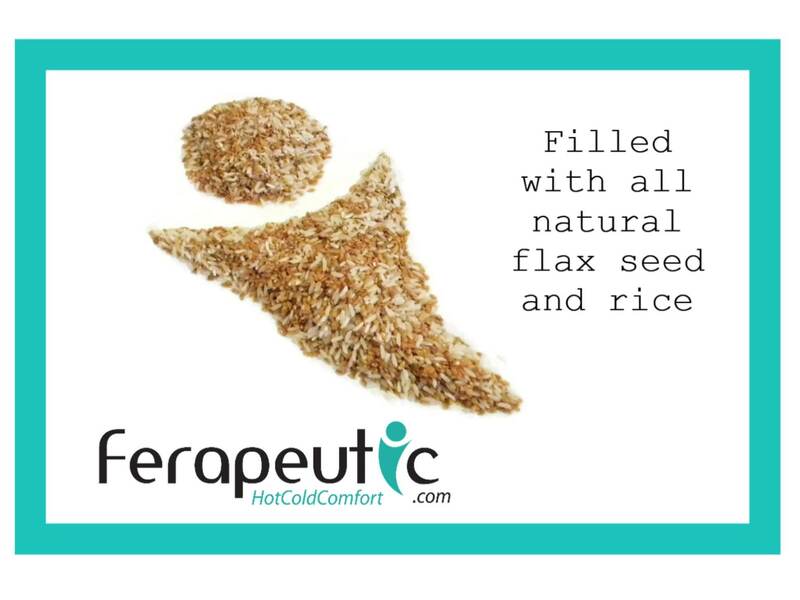 "Very comfortable holds heat well for up to 30-45 mins. 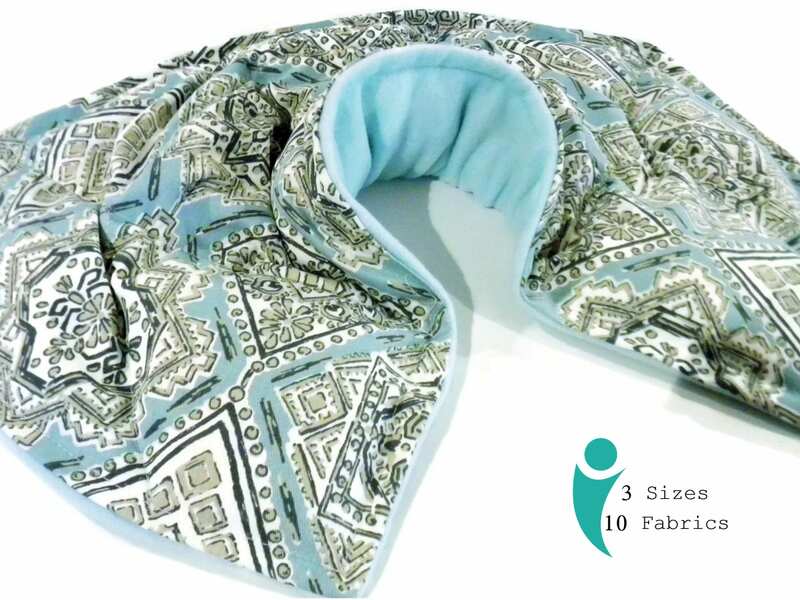 Better than the single log type in that it provides greater coverage to help relax the the neck and shoulders ..."
"I was so excited when I found this listing. I use heat therapy all the time and KNEW this was what I needed. I immediately heated it up right when I got it and haven't taken it off in the last few hours. 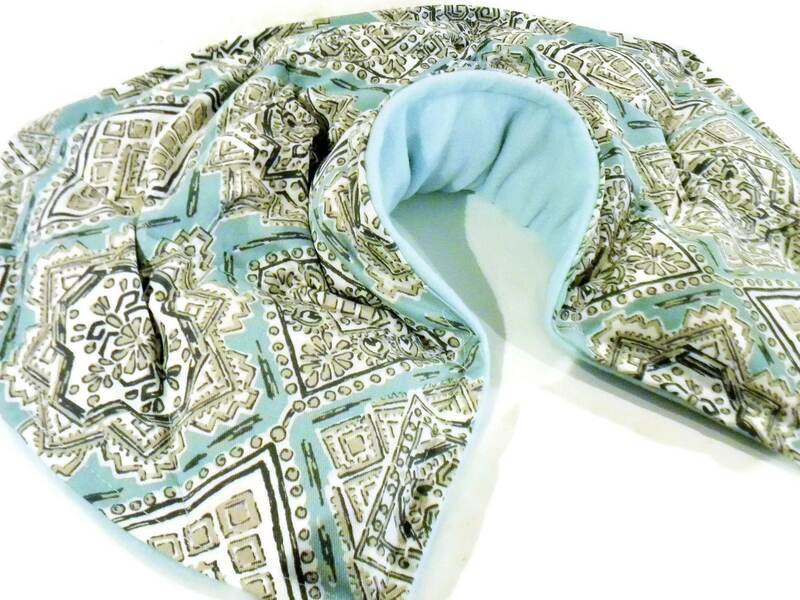 I will recommend it to everyone ..."
We designed this style (copyrighted) microwave heat pack to wrap up around the neck and across the shoulders and upper back. Unique design actually covers the neck as well as the shoulders. 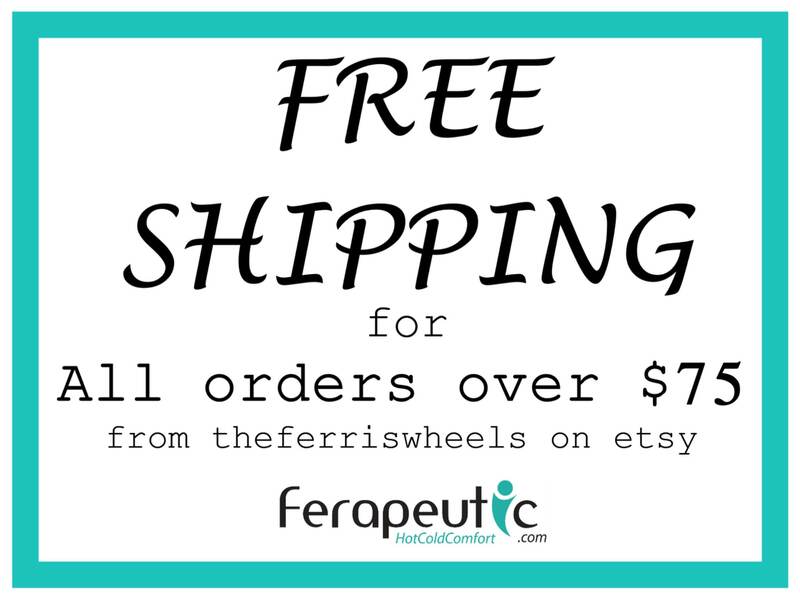 *If you would like chamomile scent, please let us know in notes during checkout. * Unscented and lavender available in drop down menu choice. Shades of solid fleece backing may vary depending on availability. 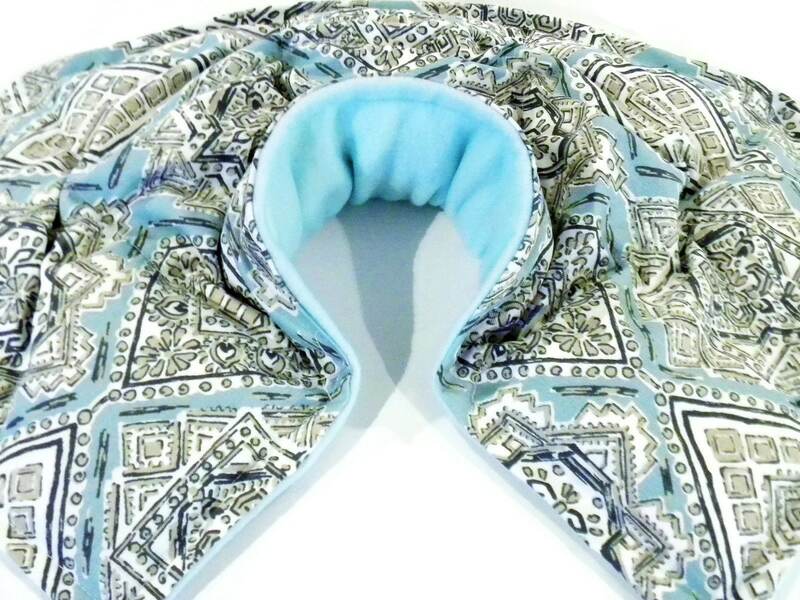 Warm Neck Shoulder Wrap in the microwave for moist heat or turn the heat pack into a cold pack by chilling in the freezer.